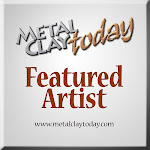 Lorena Angulo: More copprclay playing time! I have been playing more with copprclay lately and I still have some problems with the firing to be the perfect one for my kind of pieces. My work is bigger and thicker and sometimes I end up firing the pieces twice just to be sure they are sinter correctly. I still have one mask that I have fired two times and the piece looks the same, the clay is dry but it is not sinter at all, I will keep on trying with this piece because I am very persistent and I love the face! 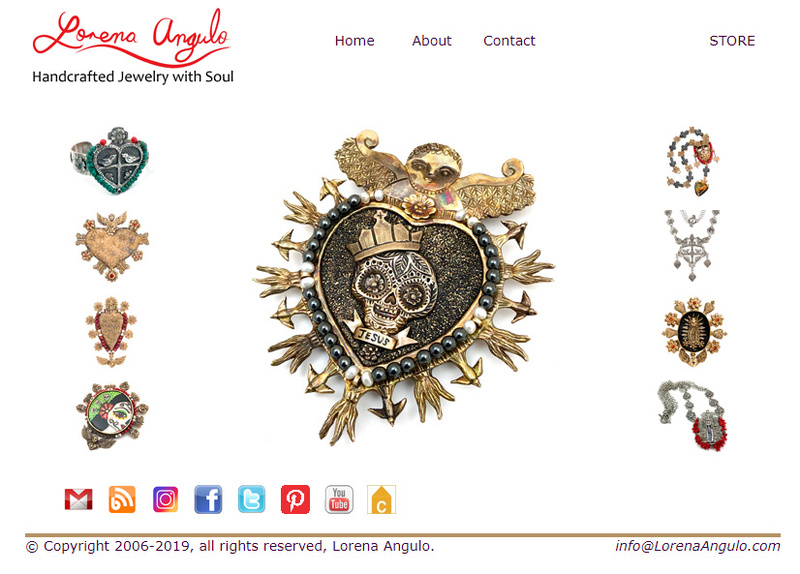 On my first group of pieces I fired was a milagro heart I designed but it was not sinter and it broke. I kept the piece to see if I could fix it. I had to make some changes to the piece and I like the way it looked at the end. http://www.vickiehallmark.com/ ,showed me her amazing cuff and it really inspired me to try to make one. The cuff fired perfectly but I had the bad idea to try to close it a little more and although I know that I needed to anneal the cuff before , I did it without doing it and I broke my cuff. This mistake gave me the idea of making earrings with the same design, my friends in Facebook told me they like them as earrings too. I end up making a new cuff, this time bigger and wider and the piece fired very good and I did not touch it after that ;-}. Better to be safe than sorry again! They are all just beautiful, Lorena! Nice to meet you and thank you for your nice comments about my work!